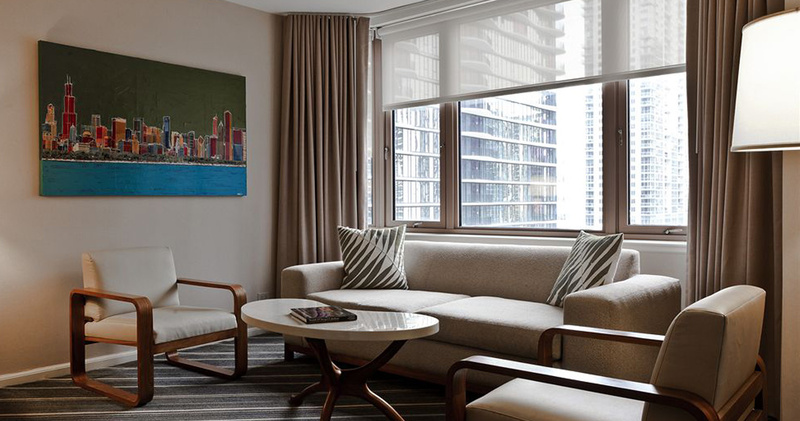 Fairmont Millennium Park is a luxury hotel with classic sophistication, contemporary elegance, exceptional service and stylish accommodations. 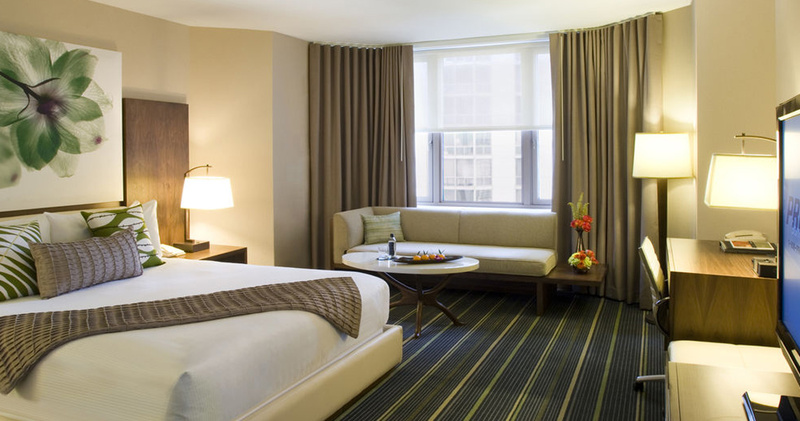 Fairmont Millennium Park is located close to attractions like the Navy Pier, Oak Street and Magnificent Mile. 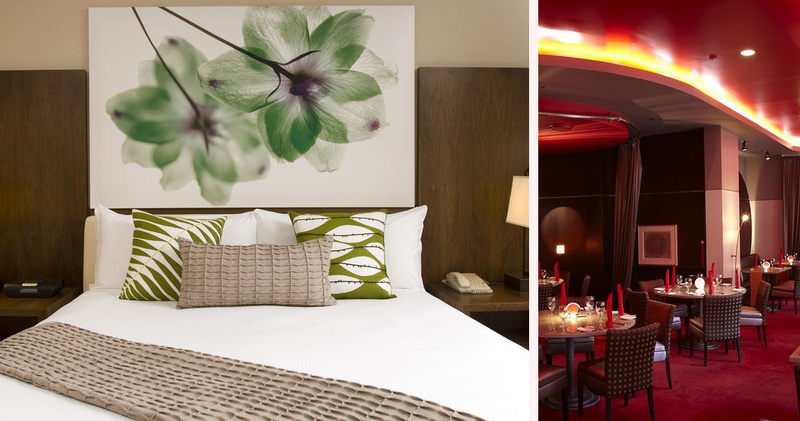 This luxury hotel is fashionable and contemporary with beautiful views of Chicago skyline. The grand lobby features dark woods, neutral colors, crisp lines and pops of bright color to lighten up space. 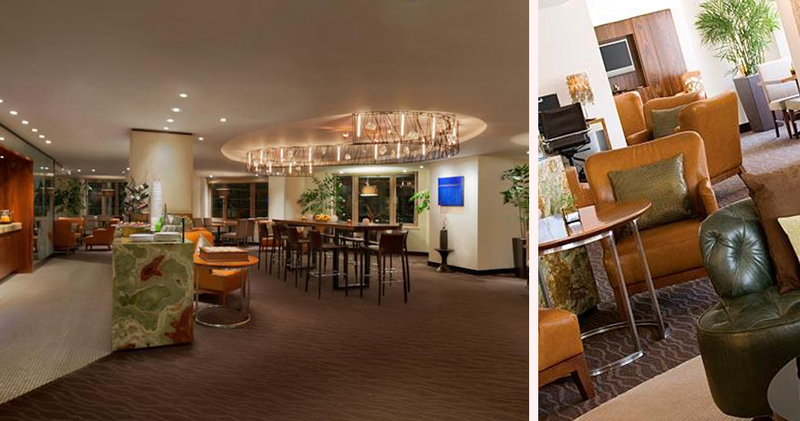 The beautiful art wall and subdued lighting adds a touch of sophistication to the hotel. 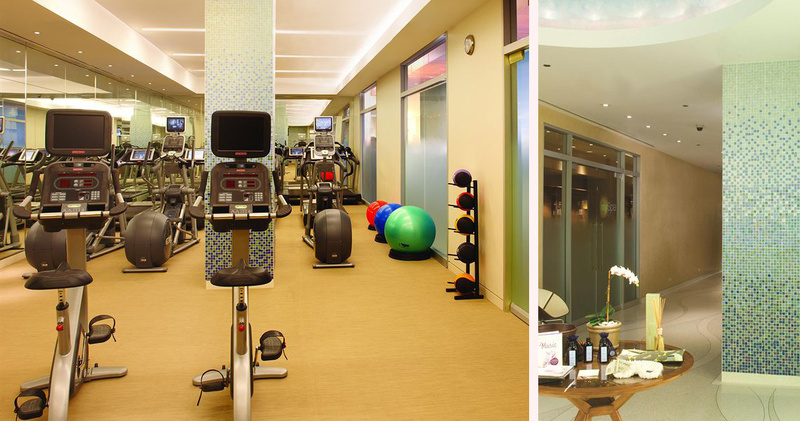 Hotel Fairmont Chicago is home to an 11,000 sq ft luxury spa with eight treatment rooms and a fitness studio. The retail store offers exclusive products from Dauphin, Farmhouse Fresh and Intraceuticals. 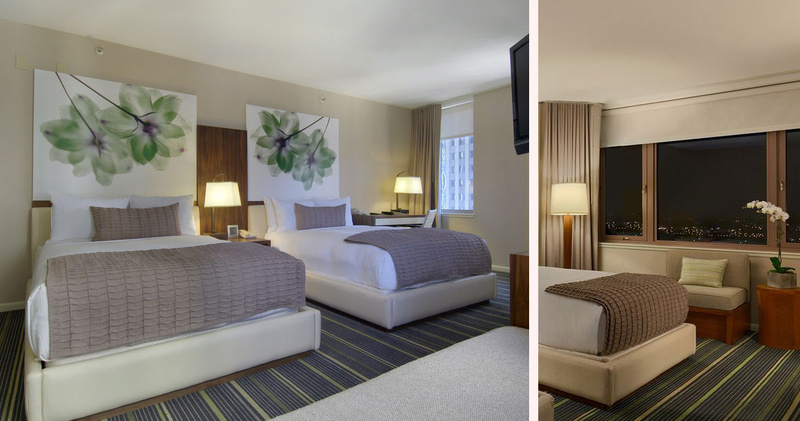 The guestrooms at Fairmont Millennium Park are spacious, light and airy. The large windows provide plenty of natural light along with spectacular views of the Chicago River or the city skyline. The guestrooms feature warm, contemporary decor with earthy tones and nature-inspired pops of color from the throw pillows. Photographer Warwick Orme’s original floral artwork hangs above the bed. The guestrooms also feature a large desk, spacious seating area and a Starbucks coffee machine. 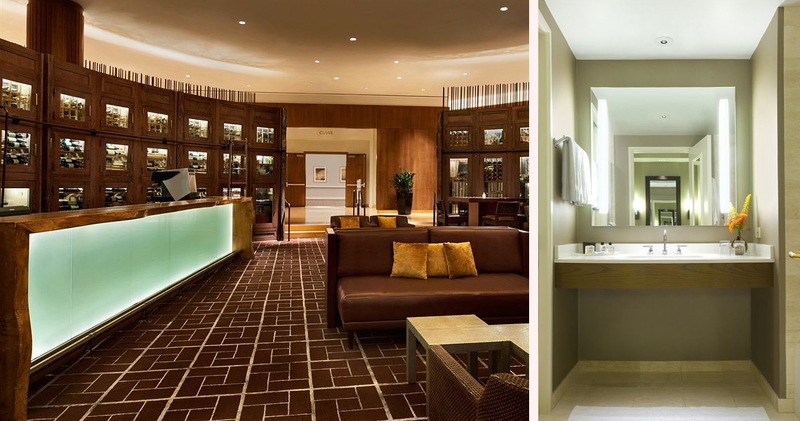 The bathrooms at Hotel Fairmont Chicago feature a marble soaking tub, separate shower and luxurious Le Labo amenities. 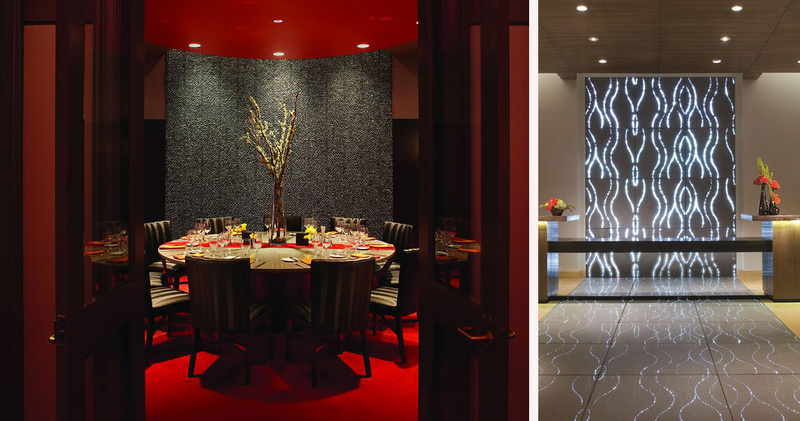 Aria at Fairmont Millennium Park is an intimate restaurant with mahogany walls, beautiful artwork and luscious tones of orange and red. The restaurant serves regional dishes with local flair, focusing on local ingredients. 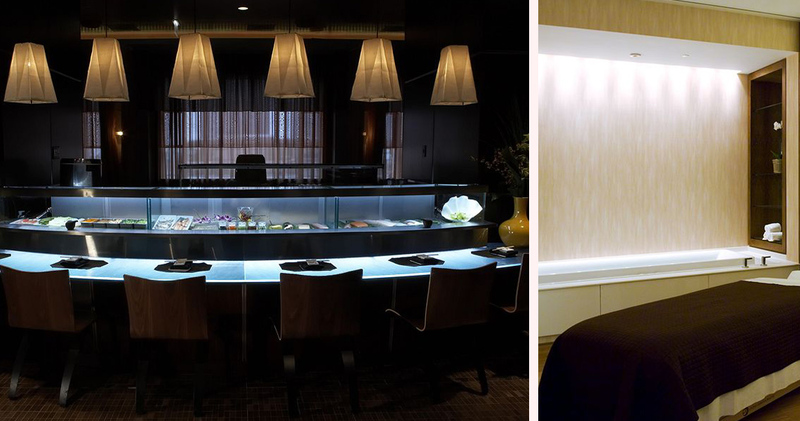 Aria Bar is inspired by Japan’s noodle houses and features sari-inlaid tables and gold shears. The bar serves sake and fresh sushi.